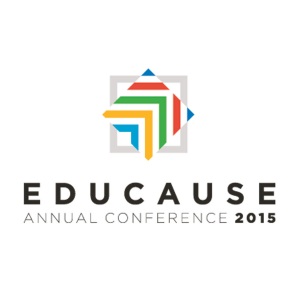 The EDUCAUSE Annual Conference 2015, which is the premier higher education IT event, will be held from October 27th – 30th in Indianapolis, Indiana. 3Pillar Global’s Sameer Bhide will attend this year’s conference. There will be over 270 exhibitors on-site, as well as technology solutions panels and emerging trends and hot topic panels for attendees to explore. The conference will bring a variety of IT and higher education professionals together to cultivate connections while exploring the evolving and emerging technology issues facing campuses across the world. EDUCAUSE also provides more specified experiences for both CIOs and Senior Directors. The CIO Experience will provide on-site networking opportunities and program sessions tailored to higher education IT leadership, as well as the ability to gather and strategize with other CIOs. The Senior Directors Seminar will be a professional development program for Senior Directors or soon-to-be Senior Directors and will include skill development, peer networking, and mentoring by highly experienced leaders. The conference will also be available for virtual attendance, with many of the sessions streamed live via webcast for virtual conference participants. These sessions will also be professionally recorded and the recording will be made available for face-to-face attendees after the event. For more information on the conference, including an agenda and program, as well as how to register and attend either physically or virtually, visit the office conference website. You can also see what people have been saying about the conference on their official Twitter hashtag, #edu15.